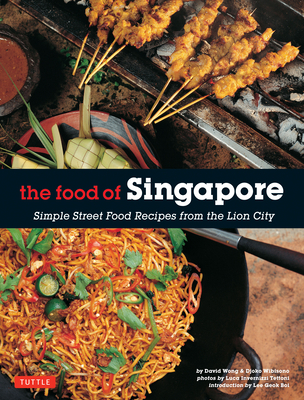 Prepare delicious and authentic dishes with this easy-to-follow Singapore cookbook. Influenced by the surrounding islands, China, and other parts of Asia, the cuisine of Singapore has long bewitched prominent tastemakers such as James Oseland, the editor-in-chief of Saveur magazine. Yet, few cookbooks have truly delved into the unique flavors of Indonesian food and cooking. At last, The Food of Singapore presents a glorious cross-section of traditional recipes. Born in East Java, chef Djoko Wibisono is the perfect guide to introduce Singapore's delicious melange of flavors, and The Food of Singapore is a splendid introduction to a cuisine poised to become the next hot international culinary sensation. Djoko Wibisono is the Executive Chef at the Beaufort Sonesta. David Wong, chef of Chinese cuisine at the Beaufort Sonesta, has worked in restaurant kitchens for the past thirty years.